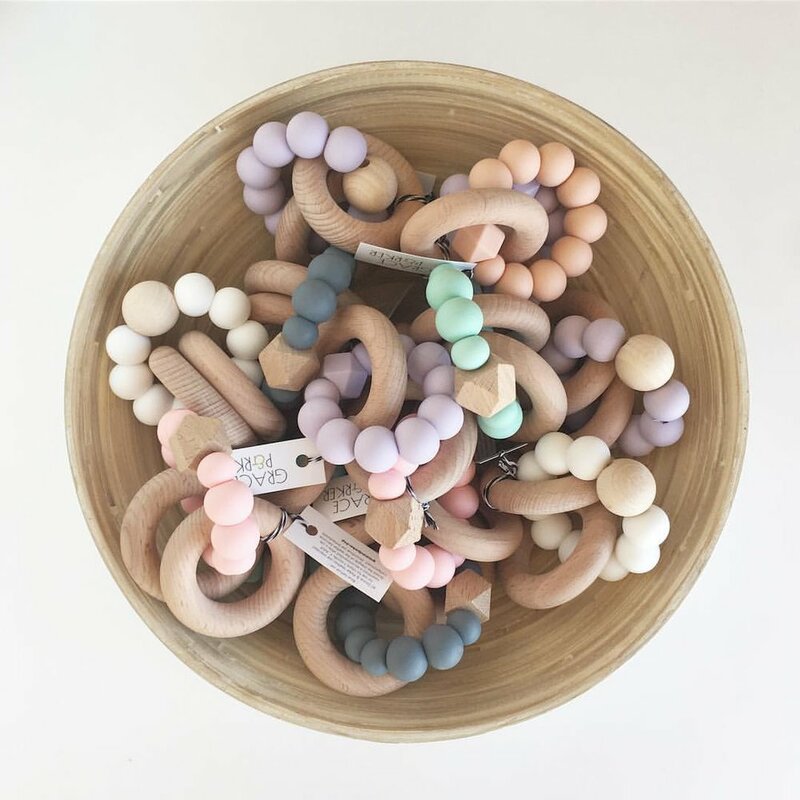 Relief for your teething baby (and stressed-out mama) with a stylish silicone and wood teether from Grace and Parker. 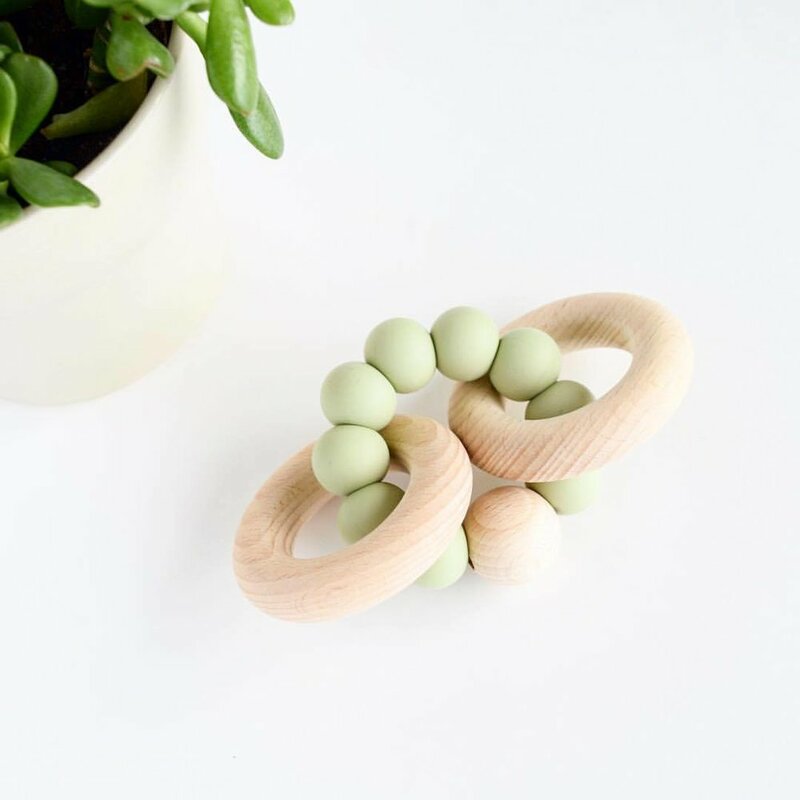 Made with wood teething rings as well as silicone and beech beads, these teether doubles as a rattle for the sensory seeking baby. Available in a variety of colours and patterns. Be sure to read Grace and Parker's tips on caring for the teethers and recommendations on safety and use.